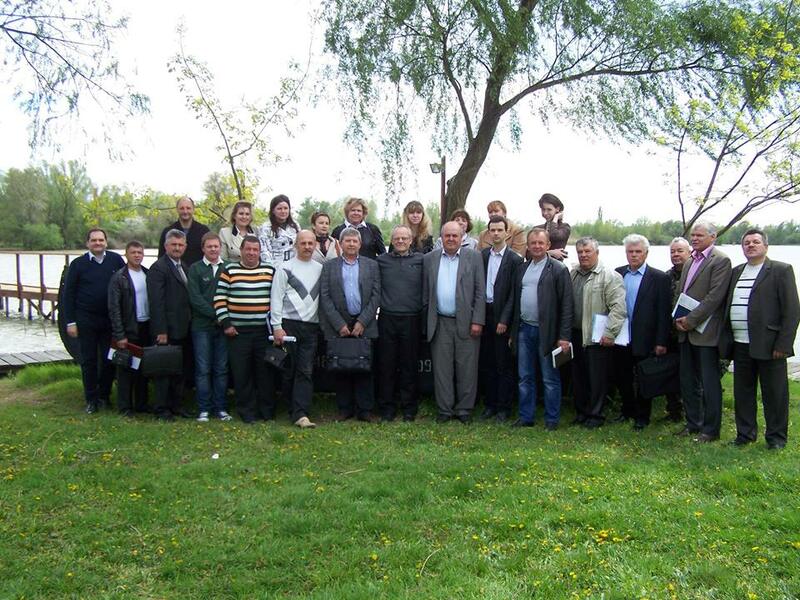 On 4-5 September 2008 a visit of delegation of the Secretariat of the International Commission for the Protection of the Danube River (ICPDR) to Ukraine took place. The delegation involved Birgit Vogel, an expert in river basin management; Alex Höbart, an expert in information management and GIS; Michaela Popovici, an expert in pollution control. The first day of the visit was dedicated to discussion of the ways of improving cooperation and information exchange between the ICPDR and public authorities and stakeholders involved in the management of water resources in the Ukrainian part of the Lower Danube Region. During the meeting the project “Improving Cross-Border Cooperation in Integrated Management of Water Resources in the Lower Danube Euroregion” and the project’s contribution to developing an integrated river basin management plan for the Ukrainian Danube region were presented. The experts of the ICPDR Secretariat presented the current state of the elaboration of the Danube River Basin Management Plan and developing Danube GIS. The participants of the meeting have identified key areas for cooperation including ICPDR’s assistance in development of activities of the newly created Danube River Basin Management Department and Danube River Basin Council. The meeting was arranged by the Centre for Regional Studies with support from the Ministry for Environmental protection of Ukraine. The second Day of the visit included a meeting of the experts with the national representative of Ukraine in the ICPDR’s expert working groups. The experts presented the contents and the main chapters of the Danube River Basin Management Plan, the structure and contents of the Danube GIS, as well as templates for uploading national data to the GIS database. The participants have arranged a list and timetable for passing information concerning Lower Danube, Tisza and Prut river basins from the Ukrainian side to the Secretariat. From Ukrainian side the working meeting involved representatives of the Ministry for Environmental Protection of Ukraine, the State Committee of Ukraine for Water Management, the Danube River Basin Management Department, the Danube Hydrometeorological Observatory, the Dniester-Prut River Basin Management Department and the Centre for Regional Studies, as well as the Ukrainian experts involved in ICPDR’s expert working groups.